GEORGETOWN, Guyana, Mar 30, CMS – A United States diplomat is urging Guyana to be cautious against what he termed the “so-called experts” who have been making negative comments about the country’s new found oil and gas wealth. 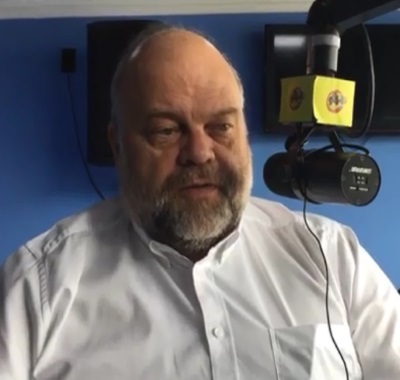 US Ambassador to Guyana, Perry Holloway, speaking on a radio programme here, said that he is impressed that the people of Guyana are getting “oil smart” but encouraged them to seek out the truth for themselves regarding the development of the oil and gas industry. “I encourage everyone, experts and not, to continue to learn. A lot of stuff is available online including the contract, so I encourage people not just to take anyone, myself included, at their word to go out and investigate it and find out the truth,” Holloway said, in an apparent reference to the controversy that has erupted here following the production sharing contract between Guyana and the US-based oil giant ExxonMobil. The diplomat had first called out these “‘so-called experts” during a business forum at the inaugural Innov8 Conference hosted by the Guyana Telephone and Telegraph Company. But he told radio listeners that there is more than just gloom and doom stories from oil. “When I see articles like that, I think, you could have also picked another 20 other countries that have been giant successes,’ he said, reiterating the need for the population to find out the facts for themselves. “Cherry picking of data, whether it’s to sell newspapers or for political means, while that’s what you do … I will just encourage everyone to go out and get the whole story,” he said, reminding all that it is the government and its people who determine how the oil revenues are spent. He said oil revenue can provide “fantastic” education opportunities, security, food security and infrastructure which is the single biggest thing that most Guyanese need”. The government has received support from the United States in the development of the oil and gas industry. The US had supported Guyana’s Extractive Industries Transparency Initiative (EITI) bid and Guyana has since become a member of EITI. Washington has also provided advice to Guyana in the revision of its regulations as it prepares for oil. The country is also working with the Guyana Revenue Authority (GRA) on how to audit large companies. Guyana is set to begin oil production by 2020 after years of drilling for the commodity in its waters.